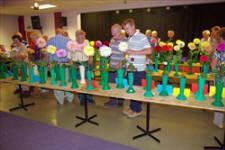 The first society show of the year saw 23 exhibitors put up 161 entries, an improvement on last year. 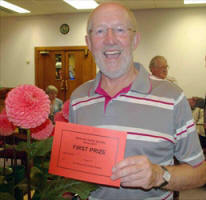 Peter Clubb wins Best in Show. 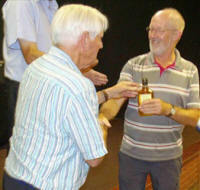 Society President Les Jones presents Peter with a the bottle of whisky. 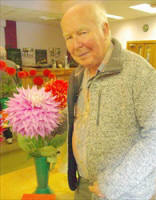 Below is Paul Fulford who came second best in show, winning a half bottle of whisky. 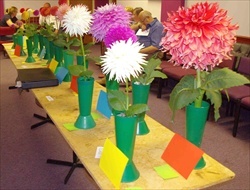 Some of the entries in the show. Our thanks got to the two Daves - Reid & Bates for judging this show. New competition for Members kicks off! 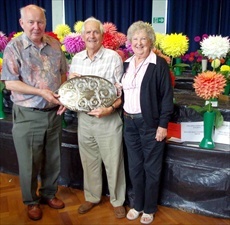 At last year's show Tom Bebbington presented the society with a new trophy. 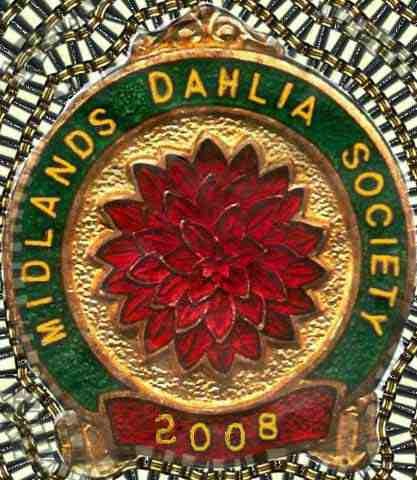 The committee has decided to award it to the member who obtains most points across the three society shows this year. 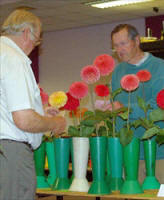 Points are awarded for 1st / 2nd / 3rd winners. 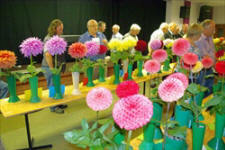 Entries in the novice classes were very good this year, with 21 vases on show.